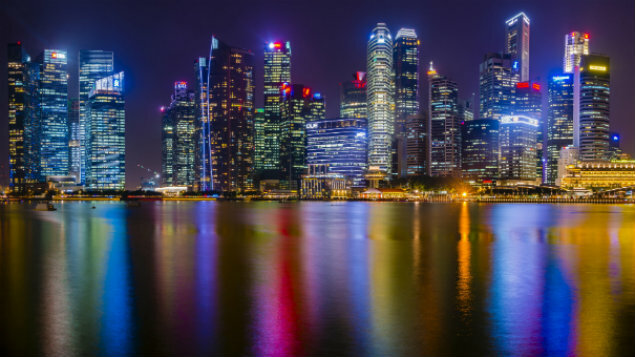 To attract overseas business investment, Singapore has concluded an international network of trade agreements. Changes to Singapore employment law in 2016 and 2017 aim to provide greater benefits for employees, while preserving a competitive environment for employers. Felicity Alexander sets out the key changes. The international agreements cover double taxation, investment guarantees and free trade. In addition, Singapore is party to the Trans-Pacific Partnership, a free trade agreement between 12 countries that is yet to come into force. These countries have a combined population of 800 million (around 55% more than the population of the European Economic Area), and conduct one-third of the world’s trade. There are two amendments that have already taken effect in 2016 and seven more changes expected to come into force in 2017.
statements of their key employment terms. Employers may provide a soft or hard copy, including a handwritten record. The Employment Act does not apply to: managers and executives earning more than SGD4,500 per month; seafarers; domestic workers; or Government employees. Also from 1 April 2016, employers must keep detailed employment records of employees covered by the Employment Act. These records must include the employee’s working hours, including duration of breaks, and details of public holidays and leave taken. Employers must retain this information for two years. A further benefit for fathers from 1 January 2017 is the increase from one week’s paid paternity leave under the Child Development Co-Savings Act (CDCA) to two weeks. To qualify for this leave, the employee must be married to the baby’s mother and the baby must be a citizen of Singapore. Paternity pay is capped at SGD2,500 per week and the Government reimburses the employer. Other countries covered in XpertHR’s international guides include China, Japan and Hong Kong. From 1 January 2017, the minimum qualifying monthly salary for employment pass applications for foreign workers to work in Singapore will be raised from SGD3,300 to SGD3,600. The Government has explained that the increase is to keep pace with rising local wages and to maintain the quality of the foreign workforce. There are two separate schemes (under the Employment Act and the CDCA) providing maternity and paternity leave for employees with three months’ service. A female employee currently receives Government-funded paid maternity leave under the CDCA scheme if her baby is a Singapore citizen and she is married to the baby’s father. Anticipated legislation will remove the requirement for the parents to be married for babies born from early 2017. From 1 April 2017, employees will be able to bring salary-related claims, up to a limit of SGD20,000, in a new Employment Claims Tribunal (ECT). XpertHR’s guide for global employers provides an overview of the main issues facing employers with staff in more than one country. The ECT will take over the Labour Court’s function of hearing contractual salary-related claims from employees. The new tribunal will also have a wider jurisdiction to cover employees subject to the Employment Act, as well as managers and executives earning more than SGD4,500 per month. At present, the husband of an employee who qualifies for maternity leave under the CDCA is entitled to use one week of his wife’s 16-week maternity leave entitlement if she agrees (shared parental leave). The husband is entitled to be paid up to a maximum of SGD2,500 per week during this leave. From 1 July 2017, the wife may share up to four weeks of her maternity leave entitlement with her husband. Under the CDCA, a female employee who adopts a child under 12 months is entitled to four weeks’ paid adoption leave provided that she is married, and either she, her husband or the child is a citizen of Singapore. The employee is entitled to be paid by the employer, up to a maximum of SGD10,000, during the four weeks’ adoption leave and the employer can obtain reimbursement from the Government. From 1 July 2017, the period of adoption leave will be increased to 12 weeks and the employer will not be able to obtain reimbursement for the first four weeks’ adoption leave for the first two children adopted. the employee’s work performance and medical fitness is satisfactory. From 1 July 2017, the employer must offer the employee re-employment up to the age of 67.